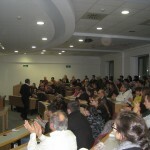 The cycle of lectures of the Institute for Advanced Studies Balkanski-Panitza aims to present to the wide audience leading researchers from Bulgaria and abroad who work in various academic fields (humanitarian and social sciences, science, engineering). 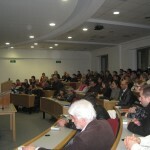 Among the lectors are distinct figures from the civil society, means of mass communication and business with respect to the education and science issues in Bulgaria. 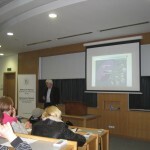 The lectures aim to bridge the different fields of the scientific knowledge and to contribute to the enrichment of the academic life in Bulgaria in accordance to the mission of the Institute. The physics of elementary particles tries to find answers to two fundamental questions: which are the main components of matter and which are the forces controlling their movement. The answer we provide today is called Standard Model of the strong and electro-weak interactions. The main problem with this model was that it was not clear how do the particles acquire mass. After a short intro to the Standard Model and the mechanism of spontaneous breach of symmetry, prof. LeandarLitov will present experiments which took place in the Large Hadron Collider in CERN. Special attention will be paid to the discovery of a new particle which has properties close to those predicted in the Standard Model Higgs boson. Prof. Dr. Leandar Litov graduated from Sofia University in 1980 with a major in Physics of the core of elementary particles. 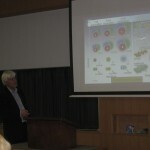 For about 10 years he works in Laboratory for Theoretical Physics, JINR–Dubna, Russia. 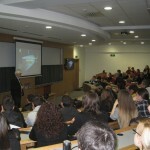 Since 1990 he teaches at Sofia University “St. 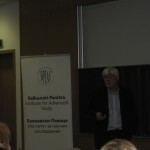 Kliment Ohridski” on the topics of Quantum Physics and Particle Physics. He is a supervisor of the Masters curriculum in “Nuclear and particle physics“ and a supervisor of the bachelors program on “medical Physics.” He headed the department of Atomic Physics from 2007 to 2012. His scientific interests are in the fields of theoretical and experimental Particle Physics, development of detectors for ionizing radiation, highly productive computer calculations and biophysics. 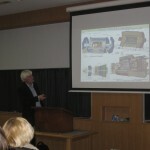 He conducts research on Serpuhov accelerator and on the accelerator lab in CERN. 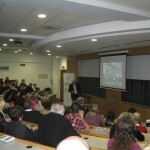 He is a member of the collaboration team of CMS since its establishment and heads the team of Sofia University which takes part in the experiments in the Large Hadron Collider. 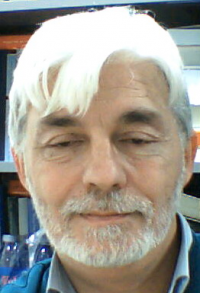 Prof. Litov is author and co-author of more than 400 scientific papers. He has been recognized by numerous national and international associations. He is a member of different scientific boards and associations including the CMS Collaboration Board, where he is a president, member of the European Commission for future accelerators ECFA and the CERN board. Copyright © 2019 Balkanski-Panitza Institute for Advanced Study. Proudly powered by WordPress. Silverclean design by Iceable Themes.